W.B. 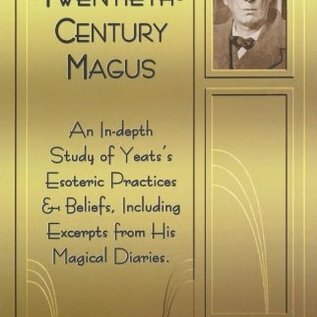 Yeats—Twentieth Century Magus is a comprehensive study of his magical practices and beliefs. 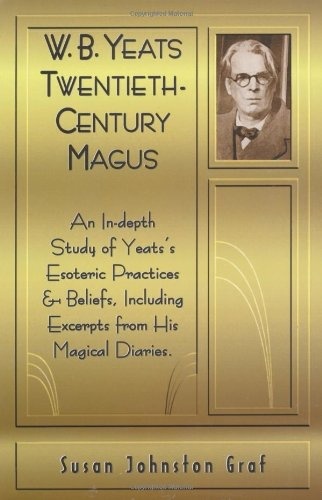 Yeats moved through many different phases of spiritual development, believing that his life was an intellectual, spiritual, and artistic quest—a quest greatly influenced by Celtic lore, Theosophy, Golden Dawn ceremonial magic, Swedenborg's metaphysics, the works of Jacob Boehme, and Neo-Platonism. For Yeats, writing poetry was an act of divine possession, and he believed that a perfected soul was the source of his inspiration, visiting him during times of superconscious awareness. Susan Johnston Graf meticulously documents and provides evidence that Yeat's poetry is brilliant, lyric narrative of realtiy captured through the mind of a practicing magician working in the Western Tradition.